If you’re a mother of a toddler then you know how much energy they have from sun up to sun down. From running, jumping, climbing, exploring – you name it. 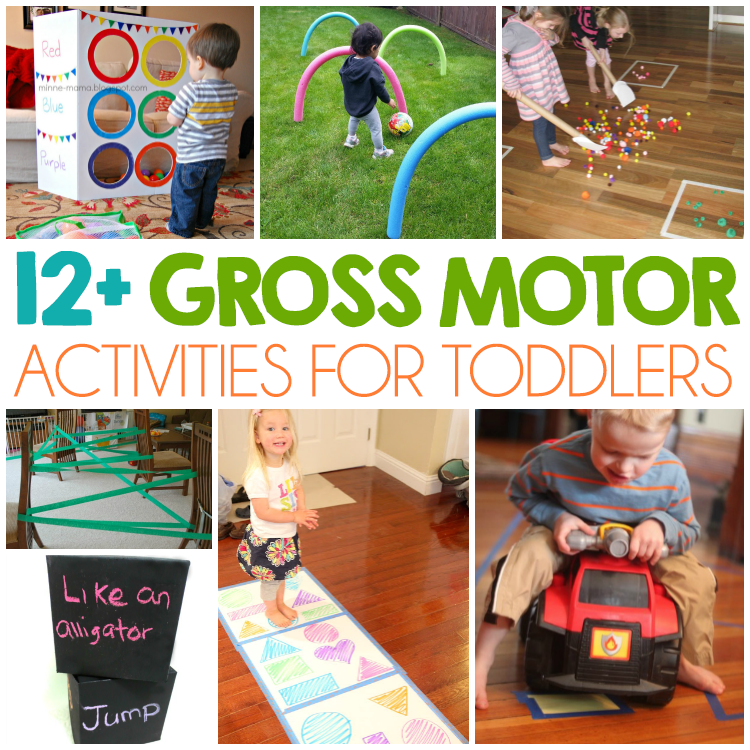 Here are some fun activities to help hand-eye coordination, color recognition, and gross motor skills to help burn off some of that toddler energy! 1. Color Toss Activity – The kids will have a blast learning and playing with this easy to make color matching board. 2. Pom Pom Hockey – A simple activity indoors, but if you wanted to play outdoors you could switch the pom poms for balloons. 3. DIY exercise/game dice – This one gets the kids up and moving to some of their favorite animals. 4. Shape Hopping – Great for large motor development and body and eye coordination! 5. Easy Tape Roads -Perfect for a rainy day and the kids have energy they want to burn off. 6. 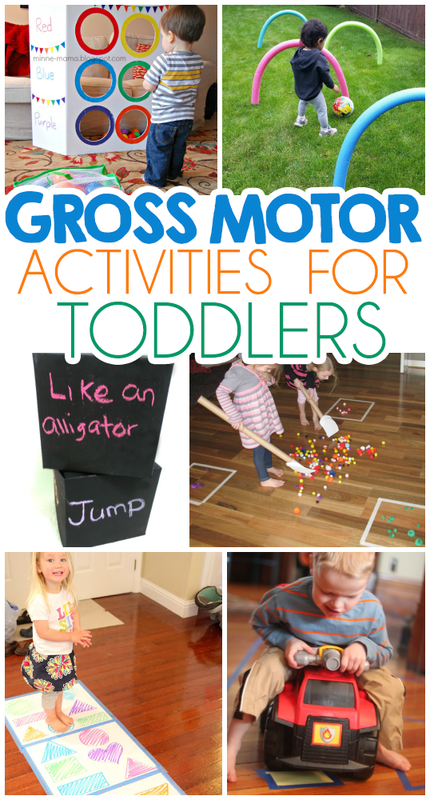 Jungle Vine Gross Motor Activity – This activity encourages imaginative play while your little ones practice crawling, climbing, and scurrying. 7. Easy and Cheap Pool Noodle Obstacle Course – Great for kids who are learning to crawl or older kids to practice ball skills. 8. I Spy Neighborhood Walk – This includes a free printable to include on your walk. 9. Elephant Stomp – A fun way to include bubble wrap into some gross motor activities. 10. Musical Alphabet Game – This one would be perfect for a preschooler, it helps with learning the alphabet and teaching letter sounds. 11. Bean Bag Stomp Catch – Great for including hand eye coordination. 12. Even simple activities that you can incorporate ball skills in like rolling the ball through an obstacle course, throwing at a target, or bouncing the ball. Mostly importantly, you’ll want to make sure that your kids have durable shoes to wear during these activities. As adults we’re always look for the right shoe to give us the right support, and the same goes for our kids. But did you know that kids feet are not fully formed until the age of 5? So when you’re looking for the perfect shoes for your active toddler you want something that will allow natural movement, this helps them develop their balance, standing, and walking. 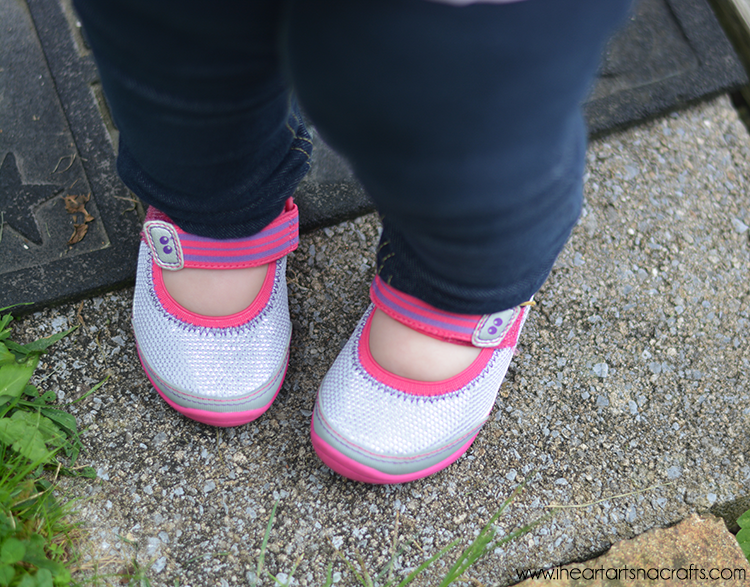 We have been fans of Stride Rite ever since our first child and now youngest wears them too! 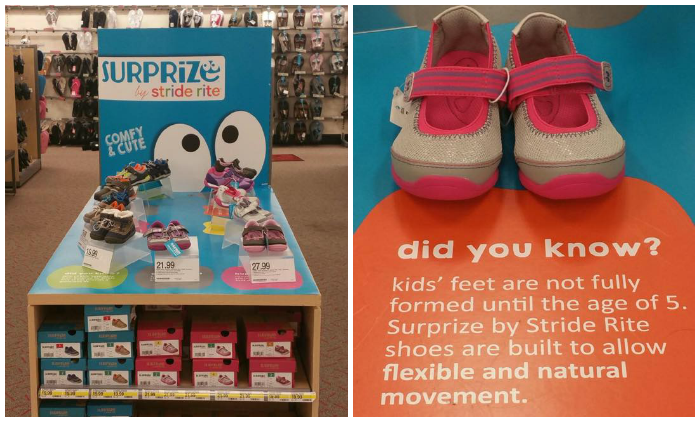 Make sure to follow Stride Rite on Facebook, Instagram, and Pinterest. And don’t forget to save these activities and pin them for later!